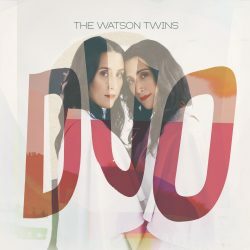 The Watson Twins — aka Chandra and Leigh Watson — recently released their sixth studio album Duo. This new album is the first time the two have co-written all their material while also singing all parts together, creating one new singular voice. The sisters talked about their creative process, biggest lessons learned during this journey, and what about Duo sets it apart. Tell us a little bit about the creative process behind Duo. We did this record a little bit differently than other records. We both co-wrote all the material together. It sounds crazy because we have six albums and we just started writing together. But our individual songwriting was something we held close to us, it was personal. However, for this album we wrote all the songs together. We wrote and recorded one song every month and then we moved onto the next. It was a different type of writing process, but at the end of the day it was rewarding to be able to write together. We’ve seen a great response from Duo so far in the press and we’ve been placed on various playlists. We’re feeling like we made the right decision and we should do it again. It took us six records to get there, but here we are! How did you approach this album differently than previously? We moved to Nashville about five years ago and took a break from writing our own material. On that five year journey, we experienced a lot of different things musically. What we came away from in those experiences is that we wanted to make a positive record. A lot of our other material was indie focused, more melancholy, more metaphoric, made up of longer storytelling. This record was focused on writing clear messages. We didn’t want to get too heavy in the metaphors but wanted to keep the story concise and serve the song. We also put parameters on ourselves — we took the Beatles method and kept each song between two minutes and thirty seconds and three minutes. Those parameters are what made the songs stronger. We were thoughtful about each move, edited when we could, as opposed to writing a song to fill space. What would you say are the top three biggest lessons from the album? 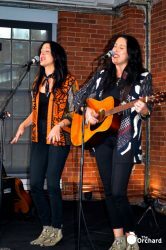 In our earlier songwriting career we were very possessive over “this is your song, this is my song.” The biggest lesson learned was that we’re stronger with the power of two. 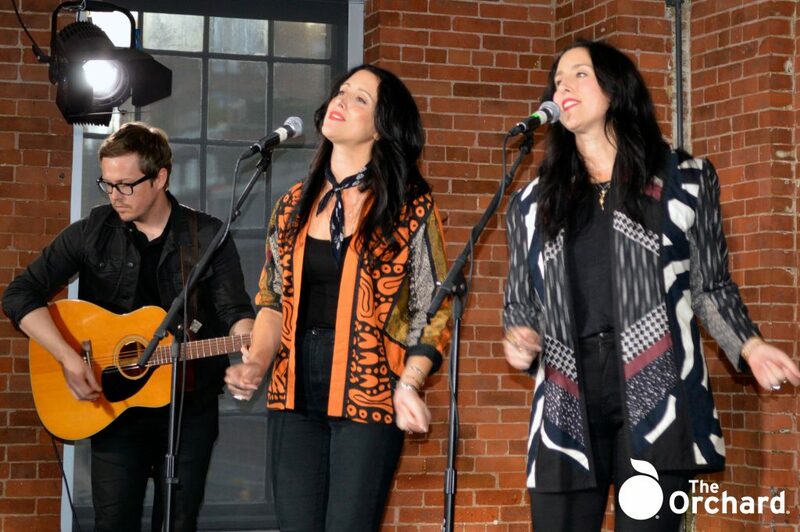 Most people hire us to sing together when we sing backup vocals for them. The way we recorded this record, we sing everything together — all the unison parts, all the harmony parts. Our two voices together make this third new voice. It was second nature, but it also took a lot of work to make all those sounds work together to create a voice that sounded like one. It put our skills to the test but the product also sounds really good. When we perform these songs live, we’re doing everything together. In the studio most artists double themselves when singing lead, but we’re actually able to do that live on stage which is pretty cool. How did moving back to Nashville from Los Angeles influence your sound? The biggest difference is that in Los Angeles writing is often a very singular experience, especially in the indie rock scene. But in Nashville, it’s a co-write town. When we first started working on this record, we actually imagined that we were going to be writing with a lot of different Nashville writers. But it just so turned out that we decided to co-write together instead of bringing in all these other people. We do have one other co-write on the record and that’s our friend Daniel Tashian, who just worked on the new Kacey Musgraves record.He helped us write “Playing Hearts,” which is one of our favorite songs on Duo. It was fun to experience that with him and actually bring in someone else for that one song. In Nashville co-writing is common so I’m sure we’ll continue to explore that. But it was also nice to know that we don’t need anyone else, we can co-write together. What about Duo makes you really proud? We formed a really strong team, including The Orchard, who truly believe in the record. That comes through in the way people are hearing it and the overall experience of the music.We’ve been signed before and that was a good experience, but it’s a different experience to be self-releasing and actually cherry-pick the people we want to work the record. We have been very fortunate that our key team is as connected and involved — as an artist, that’s all you can really hope for. What do you do to reset your creativity? Traveling is a great recharge for us. We have always been travelers since we were like little kids. Our mom would take us to Florida for family vacation when we were living in Kentucky. When we turned 15 we got our driver’s permit. Our mom told us, “I’ve been driving you around for 15 years, it’s your turn to drive me around.” And so the two of us drove this big van for sixteen hours with her in the passenger seat all the way to Florida. That kicked off our spirit of not being afraid to get behind the wheel and drive long distances to reach a destination. We’ve always lived our life of traveling and that becomes a huge inspiration. 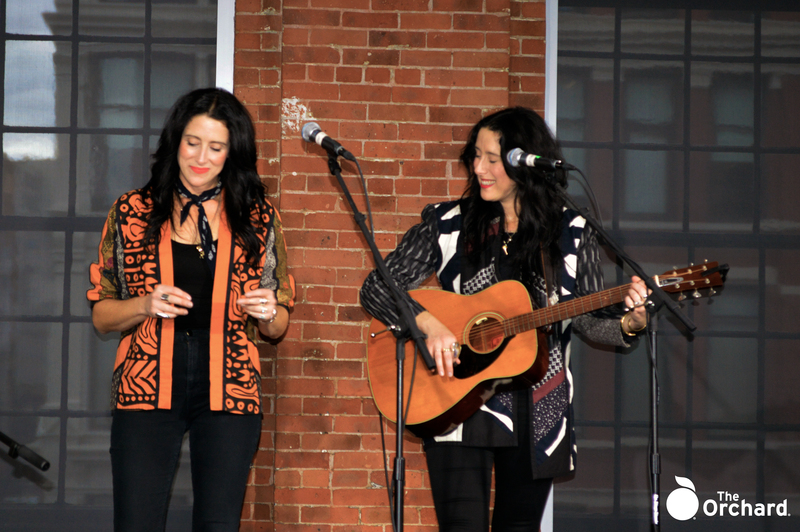 Part of being out here on the road is sharing our music. Those experiences of sharing our music to fans is a huge source of inspiration. We get to see that exchange between crowd and musician. If we didn’t want to play for people we wouldn’t release records. That reciprocal energy is so important and something that can get lost in today’s age of technology. We understand the importance of playing a live show — there are people out there who are reciprocating the energy we’re giving back to them. Our goal for Duo was to make a positive record. We actually have fun singing the songs and after this tour that’s been the response from the crowd. When people come to the merch tables, they tell us that it seems like we’re having a lot of fun. It’s true. We have a great time performing on the road. If we weren’t having fun, we wouldn’t be here. What’s something you would have told yourself back in the day when you were first getting into music? The big thing is learning to trust your gut. We did a handful of things in the past that other people thought we should do but we were on the fence. Or we made some choices that were based on fear knowing that we weren’t really passionate about them. We don’t regret any of these experiences, we think that you can only get to the side of it by understanding that wisdom is a gift. It’s the only thing about getting old that’s cool. Sometimes when we’re young we don’t know if we’re making the right decisions, so we would have said center yourself and focus on what you want, where you want to be, and how you want to do it. Let that lead you. Be true to yourself and the kind of music you want to write. Don’t try to follow trends and be somebody else. Speak your truth and write your music. This record is the most us. That’s what’s going to charge your next experience or the next song. Invest in your own authenticity and make sure you’re being true to yourself.